A group of prisoners, carrying their shoes, has just showered and is going into the “Trockenraum. 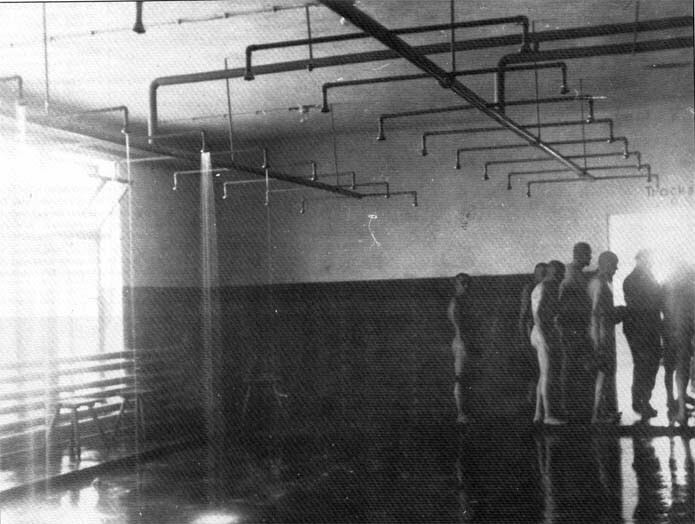 R. Seite / drying room, clean side”. Some of the 50 showers are visible and the installation corresponds to that shown no Drawing 3084. The exit from the shower room looking into the drying room. 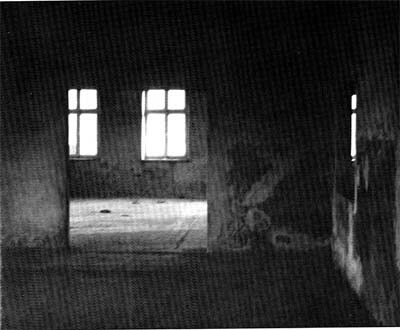 On the right the opening through which the SS “surveillance” of the prisoners was exercised.